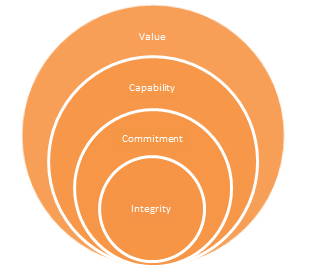 principles: Integrity, Commitment, Capability, and Value. devise incentive and growth strategies that promote loyalty & excellence. programs that lead to quality results from each employee. team member’s success; and ultimately being the company that delivers trust.